Tensens stock a large range of vacuum floor tools to suit commercial Vacuum Cleaners. Having the right floor tool for the job will give you better results and cleaning performance. Most Brands are 32mm which is the most popular size in the commercial cleaning industry; Nilfisk, Numatic, Tennant, Pullman and Polivac. 35mm is also available. 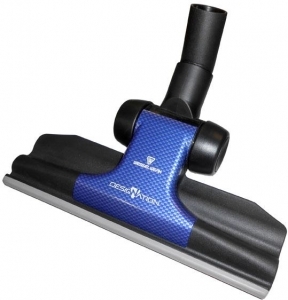 MULTI-SURFACE FLOOR TOOLS; These are designed to vacuum both hard floors and carpet. HARD FLOOR TOOLS; Ideal for hard floors, such as tiles, floating floors, vinyl and timber floors. They can also be used on carpet if you wish to agitate the pile. The brushes on the floor tool will prevent scratching the surface. TURBO HEADS; These are air driven from the suction of your vacuum. They give the carpet a deeper clean, by separating the pile and getting into the dirt, dust and sand below. They spin quite fast, which also helps with the removal of pet hair but they don't work well on hard floors.